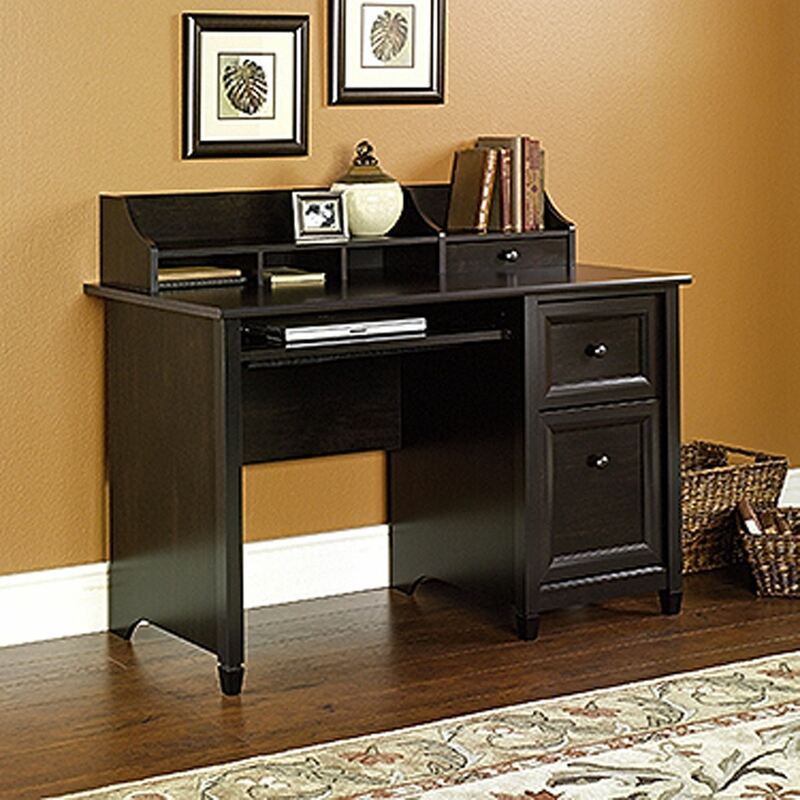 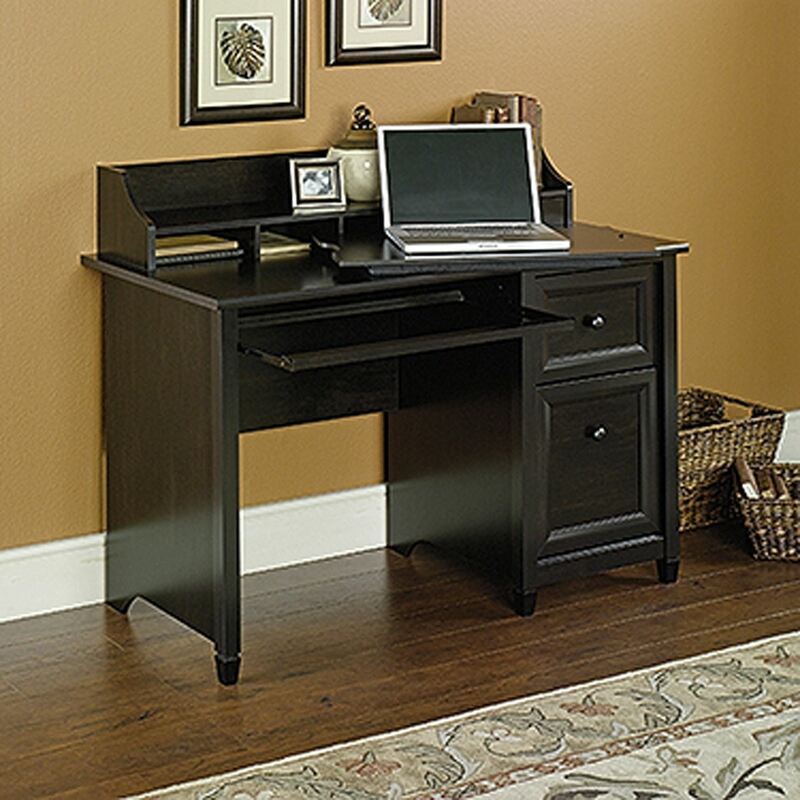 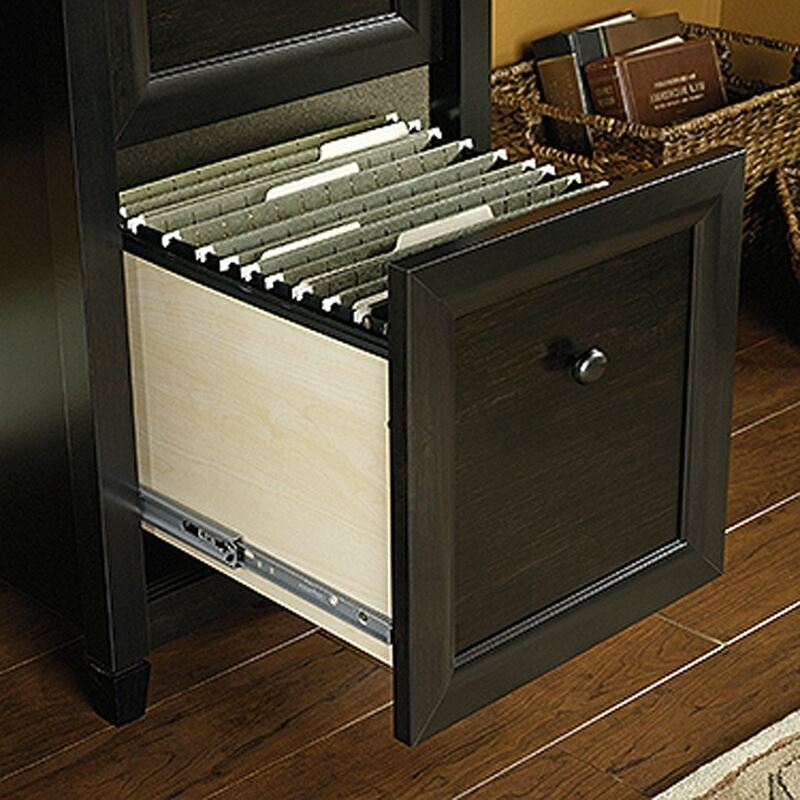 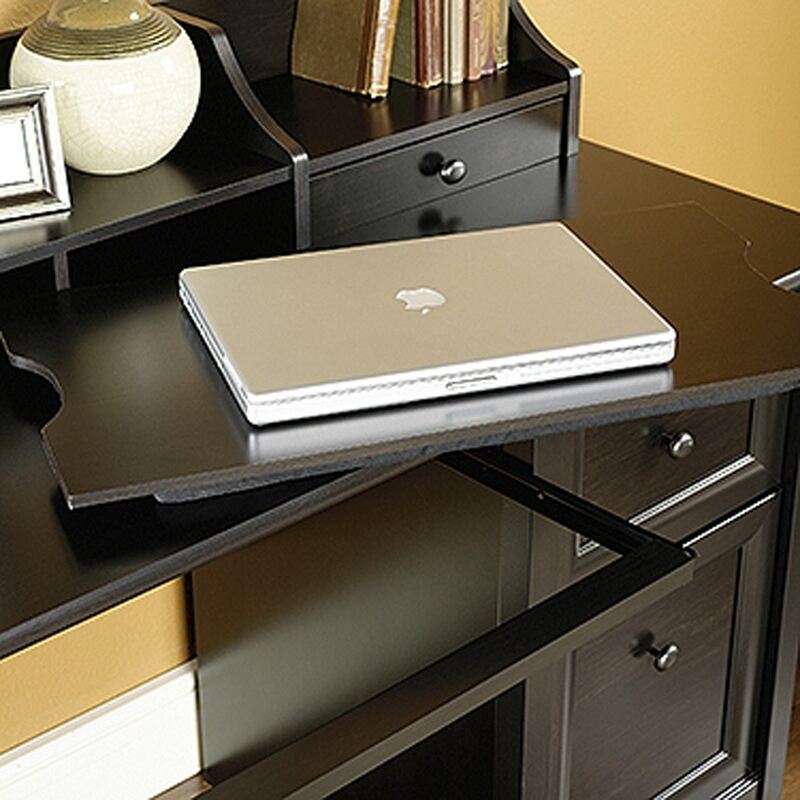 Edge Water Computer Desk Estate Black By Sauder. 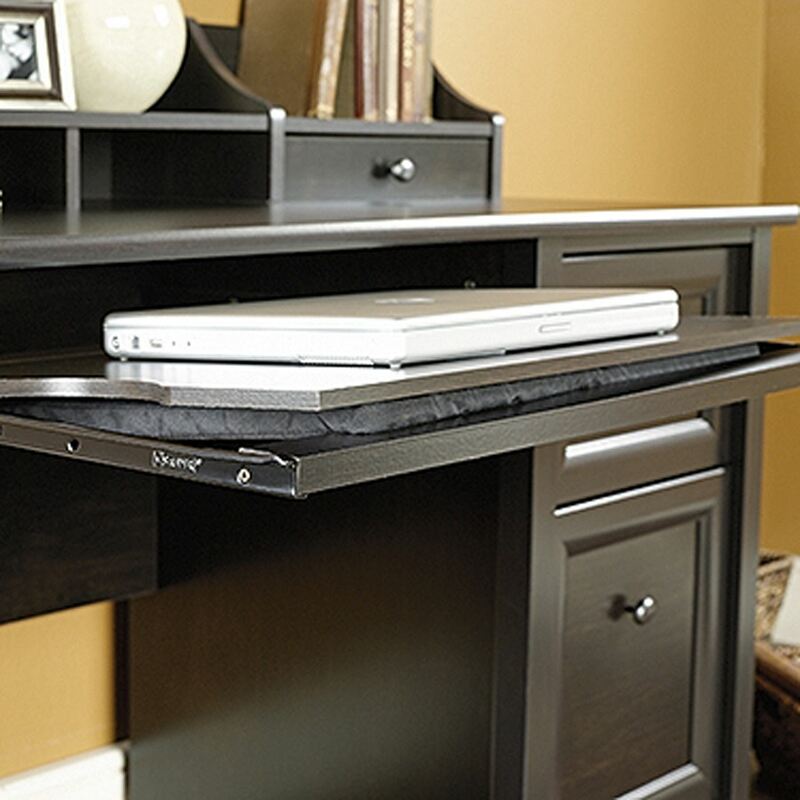 Slide-out keyboard shelf features removable laptop shelf with cushioned pad. 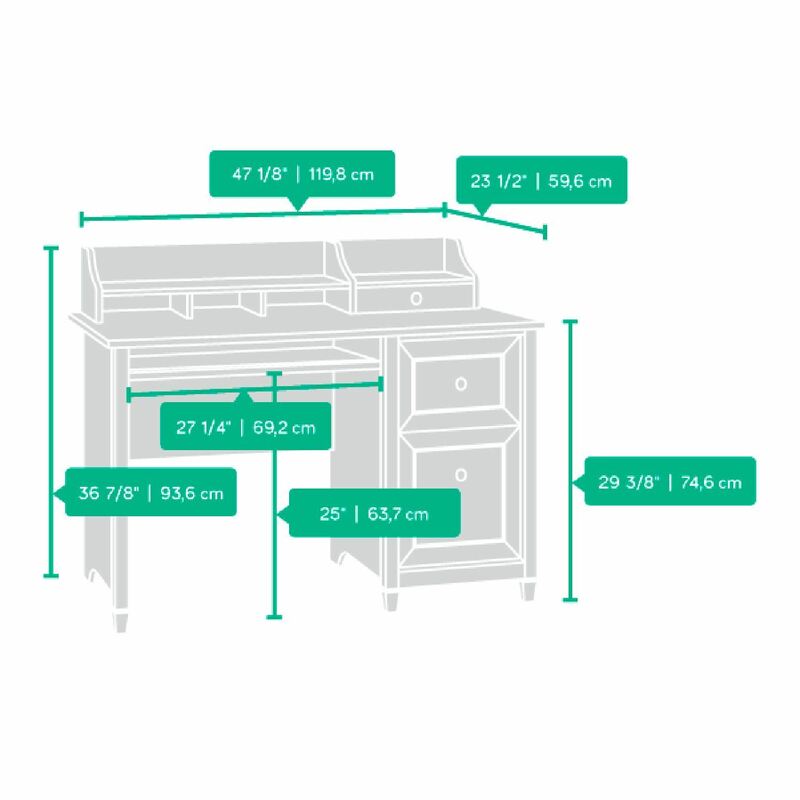 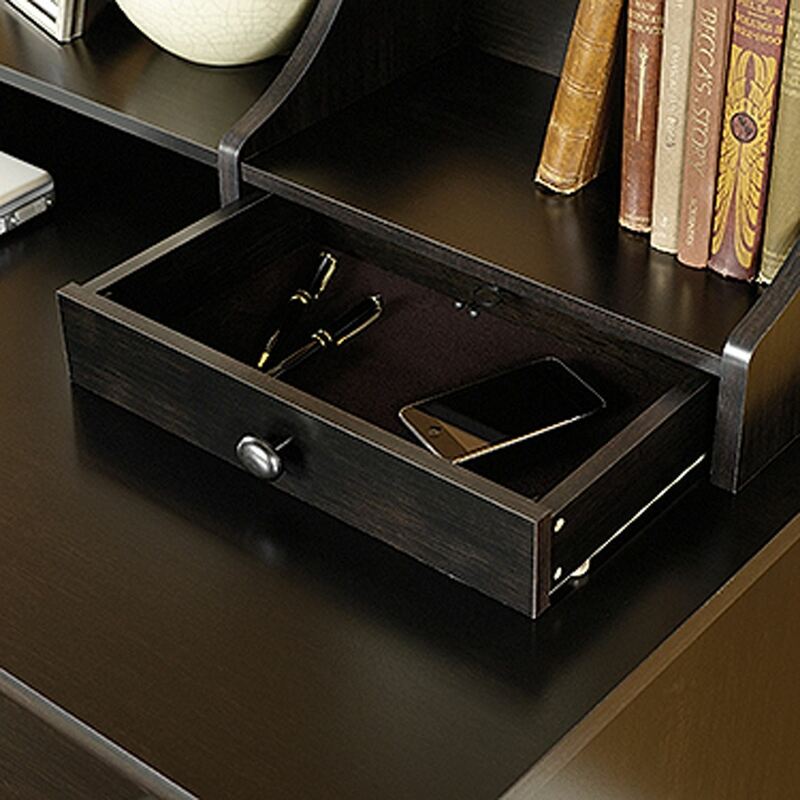 Felt-lined, small drawer with cord access provides Digital Docktm for parking, recharging and synching mobile electronics.